I went to this mosque on a winter morning, and waited for the light that moves gently from the right hand side of the mosque towards the left, to fall exactly in the center so that my photograph could be completely symmetrical. Islamic period is a part of Persian history that starts after Sassanid period with coming Muslims till now. This important part of history,have a long age,more than 1 millennium and divided into different dynasties. Every period have unique and own characteristics like architecture,economic system,social classifications and etc. Now,we are going to have a glance to Qajar dynasty,because the place that we are speak about it,built at qajar period. Every type of architecture in each period have some unique elements but it borrows some elements from previous periods. 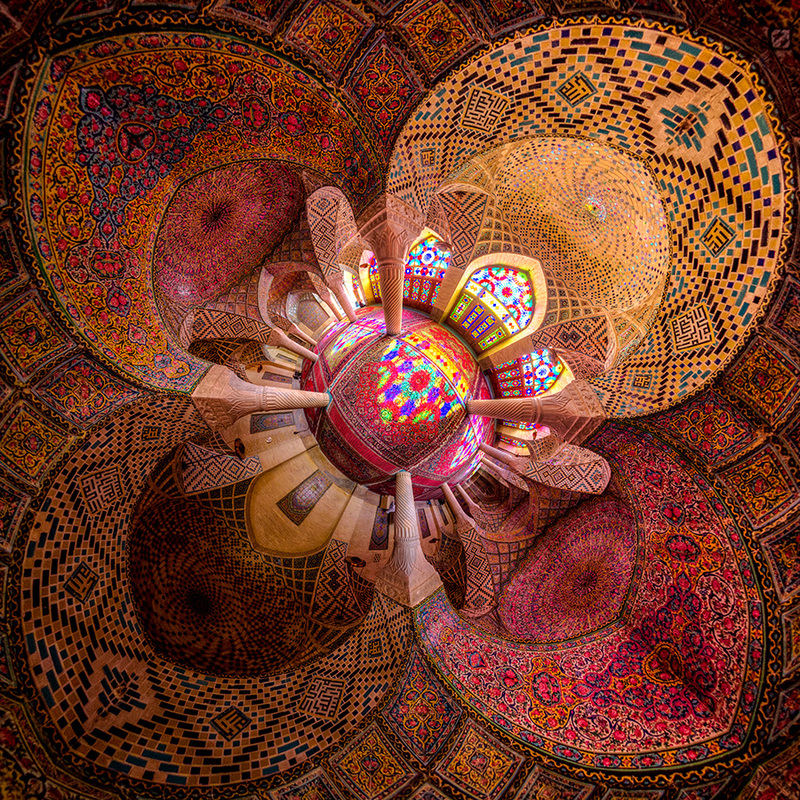 Therefor, the architecture of qajar period owes to Safavid art and architecture. 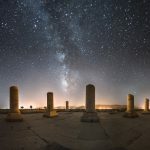 The Qajar art & architecture have not the magnificence and beauty of the previous period,for example some cities like Isfahan,Tabriz and Qazvin was extended and developed in safavid period with grand and unique mosques,schools,Carevansarais and complexes. 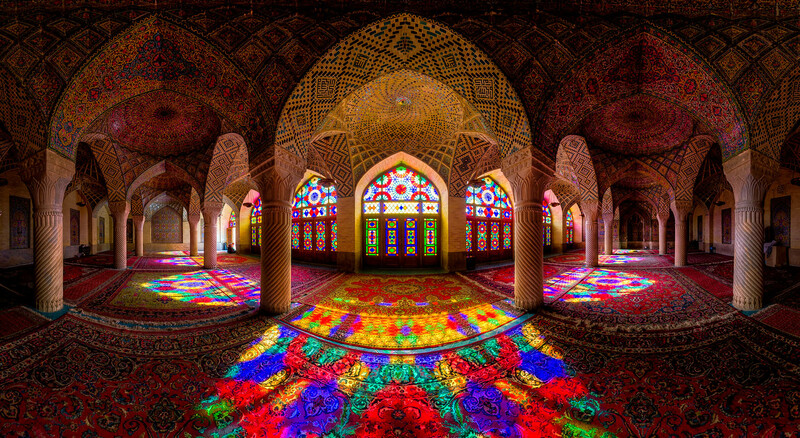 But in Qajar period some cities like Tehran,Shiraz,Yazd and Kashan was raised by building mosques,bathes and palaces. 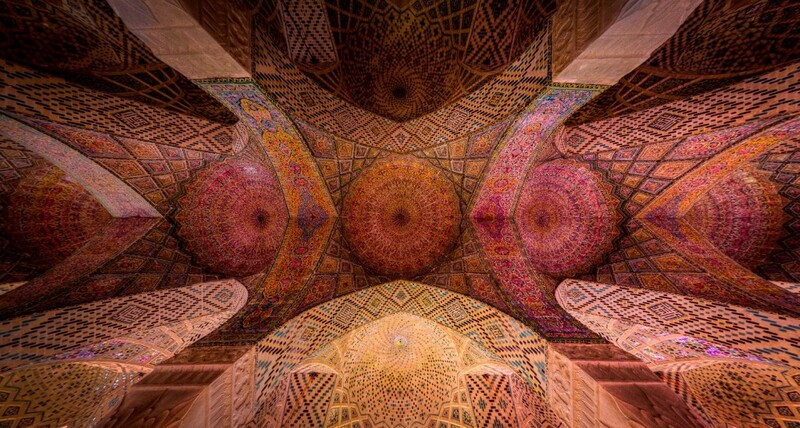 One of the most important monuments of this period Is Nasir-Al-Mulk mosque that built in shiraz,by one of the dignitaries that named Nasir-Al-Mulk. 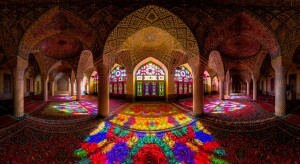 This mosque have several names like pink mosque because the usage of pink and yellow flowers in tiles. But the thing that makes this place more important,is the Technic of usage of glasses and play with lights. 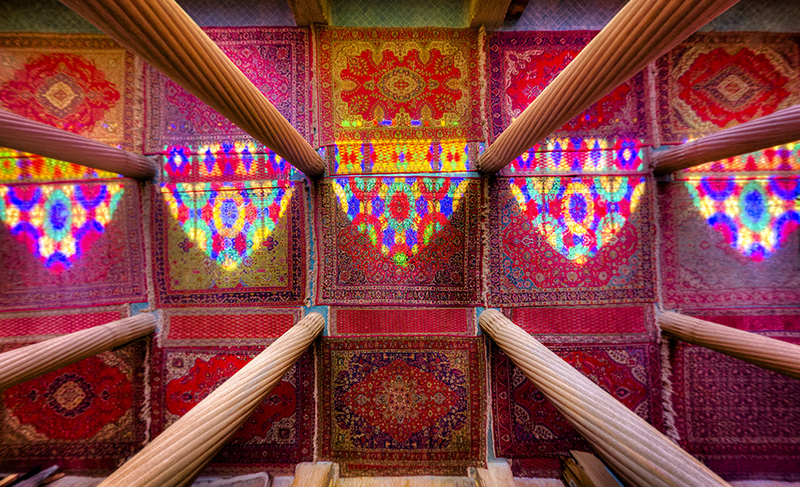 Another part of this mosque that attract most of photographers to take photos,is the harmony of using the columns inside it and this element,inspired from Jam-e mosque of Shiraz. All of the mosques around the Islamic world,are very similar together,But they are different from each other.This difference is obvious in their plans. For example in Iran,the most mosques in every period,have 4 loggia,some others have 2 loggia and in rare cases we see even 1 loggia. 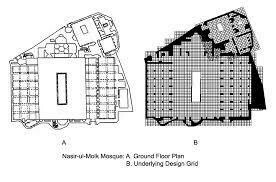 Nasir-Al-Mulk mosque have 2 loggia in north and south and in one of them exists 2 minaret and 2 halls in west and east. 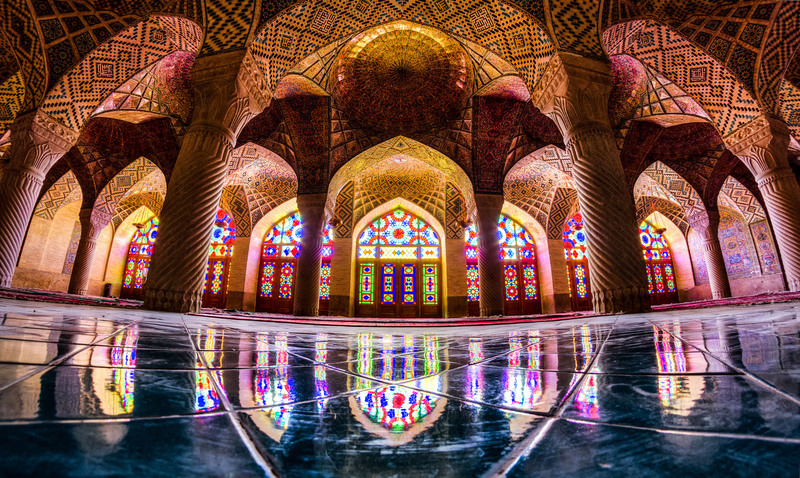 Some Arts are very significant at this mosque,like tiling,painting in roofs of loggia,colorful glasses,plaster-works, turnery of columns and the beautiful decorations of Mihrab. I’m just wondering if the images has copyright? I would like to use theam as a cover page for my book. Hi, You should Contact me for this topic. use a Contact me page please.